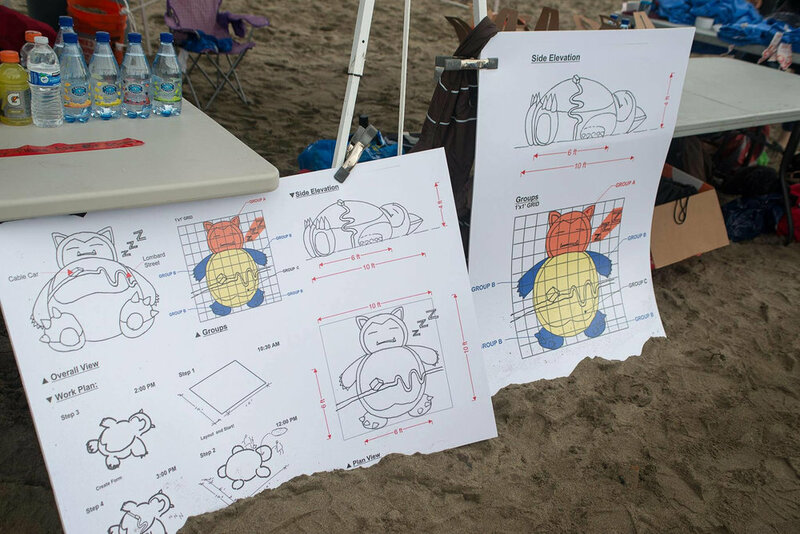 Teams of architects, engineers, contractors, designers, corporations, and local elementary school students work together to build giant sand sculptures. The funds raised by teams and sponsors make it possible for Leap to continue to provide arts programs to Bay Area students. 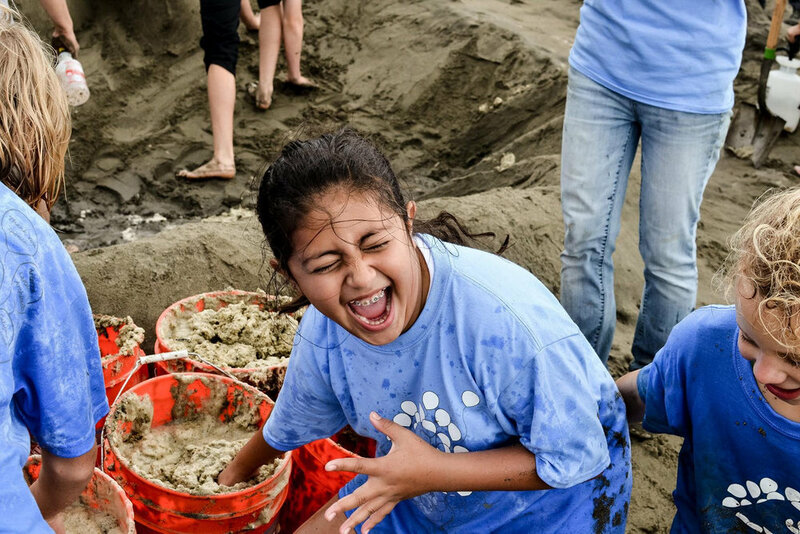 Learn more about the Sandcastle Classic here. Unisex t-shirt, perfect for chilly days at the beach! Cotton and machine washable. 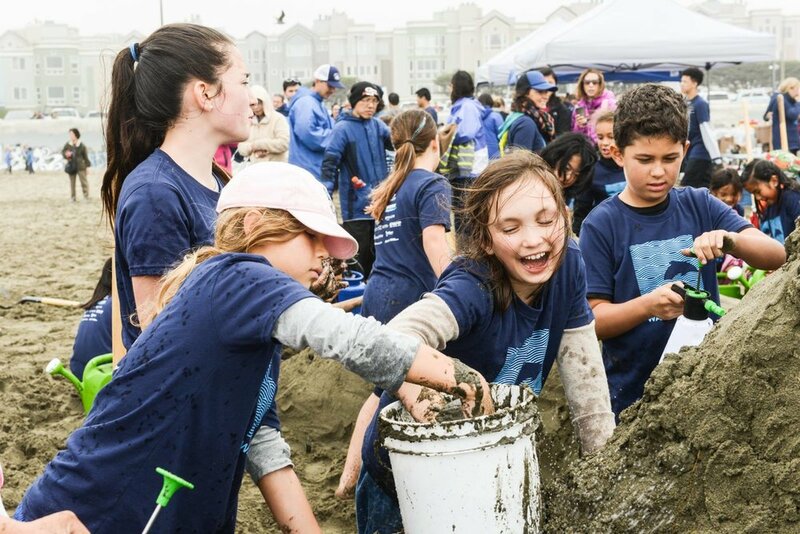 Enter to win beach day raffle prizes like tickets to the American Conservatory Theater, Bay Area Discovery Museum Family Passes, K1 Speed Go Kart Passes, and more! Purchase raffle tickets online, and we’ll enter you for a chance to win. It is not required that you are present on beach day to enter the raffle or get the chance to win. Winners not present will be contacted following the event to claim their prize. Unisex zip-up hoodie sweatshirt, perfect for chilly days at the beach! Cotton and machine washable. Branded steel, insulated water bottle. Keeps liquids cold for 24 hours, and hot for 12 hours. Don’t be seen at the beach without one! Fill up at the beach water station located off sidewalk above the beach. Unisex crew neck sweatshirt, perfect for chilly days at the beach! Cotton and machine washable.